The recent growth of non-traditional Internet-connected devices is often referred to as the “Internet of Things” (IoT) revolution. In the realm of power distribution, IoT plays an important role by enabling owners of power distribution equipment (e.g., transformers, transfer switches and breakers) to migrate from a reactive and preventive maintenance model, to a condition-based maintenance business model. Information concerning practical deployments of power distribution-related IoT implementations have come to light. 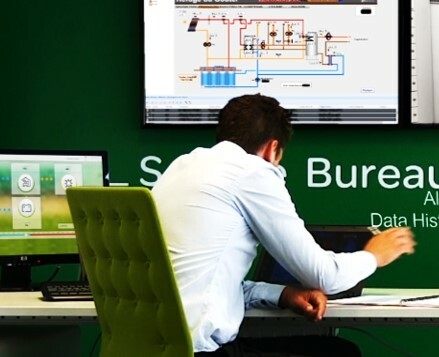 Schneider Electric’s Asset Performance Monitoring-as-a-Service (APM-aaS), a predictive analytics software solution, was recently deployed at several pilot locations. Monitoring and analysis of that data by power experts. At these pilot locations, medium/low voltage switchgear, circuit breakers, dry transformers and high voltage oil filled transformers were targeted for monitoring. In addition, wireless temperature and partial discharge technologies were integrated into the platform, and medium and low voltage circuit breakers algorithms were refined. Sensors were placed inside of the targeted assets in order to gather performance data to help analyze the operating performance of each asset. By leveraging the recent advancements in cloud technologies, data was transferred from the customer’s location to the Schneider Electric data center. During this process, data was analyzed at three levels. At the first level, analysis was performed through asset specific algorithms, combined with rules and thresholds specific to asset application and utilization. The second level consisted of remote analysts located at a centralized service bureau who were responsible for day-to- day operations and for the initial anomaly discovery process. The third level engaged a network of experts, either product line or system experts, who further validated the findings, and developed a detailed report along with recommended next steps. The findings were submitted to the pilot customers, with a detailed action plan to address all findings. At one pilot site, the team applied a wireless temperature technology on two dry-type transformers supporting a double-ended substation, which featured a Main-Tie-Main configuration. One side was supplied by a 4-year old transformer and the adjacent transformer, which was part of the original installation, had been in service for approximately 30 years. Two weeks after monitoring began, it was observed that the heat signature of the two transformers were quite different. The newer transformer, displayed a very tight temperature profile, with “B” phase being the higher temperature of the three phases. The older transformer displayed a heat signature that was quite different. The temperature disparity between the phases was greater. Analysts observed that “C” phase was running hotter than A and B. Typically, on a dry-type transformer, if load is balanced, “B” phase temperature should be hotter than “A” & “B” due to its physical location. After some investigation with the customer, it was deemed that load was not the cause of the higher than expected temperature of the “C” phase, and no other contributing factors could explain the higher temperature of “C” phase. As analysts researched the history of the transformer, it was discovered that an identically configured transformer, 4 years’ prior, had been replaced because of a catastrophic failure caused by a coil short circuit. The lost revenue, clean up, and replacement costs were estimated to be in the vicinity of $1 Million. It was deemed by the expert analyst that the heat trend within the older transformer was a possible warning that the insulation inside was beginning to deteriorate. Faulty insulation can lead to short circuit issues. The report produced by the Asset Performance Monitoring team, which was based on the data gathered, was enough to convince the customer’s management team to upgrade to a new transformer, thereby avoiding a repeat scenario of catastrophic transformer loss. This is one of several examples of how true predictive maintenance, based on an IoT configured solution, can help avoid disruption to business continuity and the associated financial losses. For more information on Schneider Electric asset management offerings, visit http://www.schneider-electric.com/b2b/en/services/field-services/.